Seika style ikebana, and Jiyuuka, free style ikebana, how it relates to nature, and the four seasons. This time you will be introduced Autumn arrangements and settings. 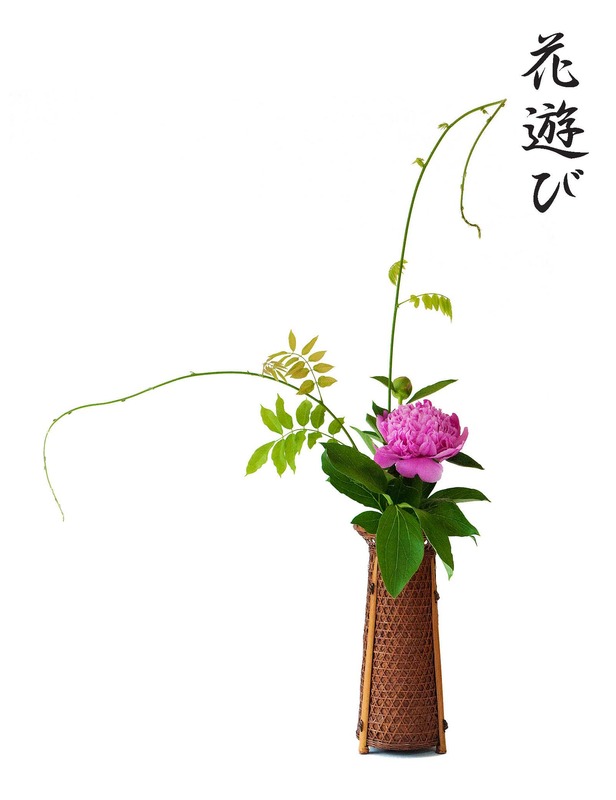 Your tutor will discuss Ikebana and Western flower arrangements and demonstrate different style of Ikebana. No previous experience or knowledge of flower arrangement is required. Learners who have an interest in Japanese culture, or some knowledge of Ikebana or western flower arrangement and beginners are welcome. • The cost of the course includes a kenzan (a device used in ikebana for fixing the flowers in the container) which is yours to take home and keep. A pair of strong scissors or secateurs and a large bowl or container, for example a salad bowl. You may like to bring flowers, flowering branches, and leafy materials from your own garden, but this is not essential. The cost of the course includes a kenzan (a device used in ikebana for fixing the flowers in the container) which is yours to take home and keep. Please bring a Binbag a crate or semi rigid bag (eg supermarket hessian bag) to transport your own Ikebana. Flower materials have been included in your course fee (flowers, branches, leafy materials and oasis are included) – NO extra fee. You may like to bring flowers, flowering branches, and leafy materials from your own garden, but this is not essential. The learners can progress to the next level and other seasons, through additional workshops.